Donagh O’Brien here, Head Coach of the recent FAI Camp in Mounthawk Park. I’d like to thank everyone for their cooperation in making the camp such an enjoyable week for myself and all the coaches. I hope the kids enjoyed it as well because these camps are all about fun, making new friends and playing football. 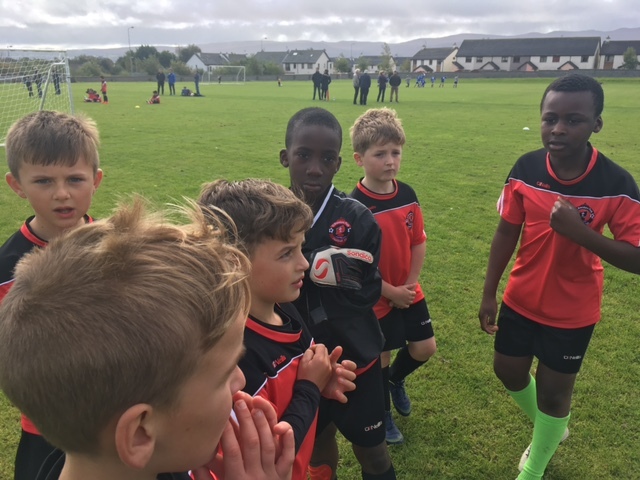 I’d like to thank Darren Aherne who is our FAI Development Officer in Kerry for getting in the extra kits, bags and footballs needed for some players and to the parents for their patience and understanding. Last but not least, I’d like to thank the coaches, Tadgh McEvoy, Charlotte O’Neill, Laney Clancy, Dean Corbett, John Chinozo and Danny Diggins. Also, George Dineen who was venue coordinator and John O’Regan who let us use his top class facilities at Mounthawk Park.